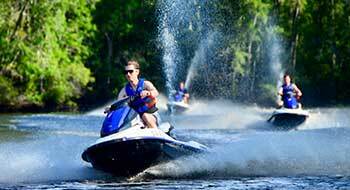 We rent each jet ski out by the hour and include all instruction, safety equipment and gas. Ranked #1 for jet ski rentals Myrtle Beach. 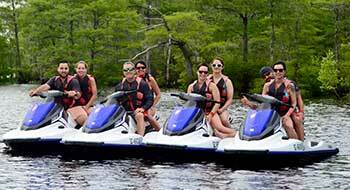 We specialize in small groups of 10 jet skis or less this offers a more personalized excursion while keeping a fun moving pace on the water. Our pontoon boat rentals offer the perfect solution for families or groups to get out on the water, have some fun and do some relaxing. Fully equipped boat with incredible sound, a perfect wake with a professional surf system you will be sure to have the time of your life. 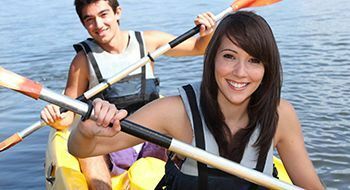 Since we are located in the calm waters of the intracoastal waterway, the paddling experience is rather inviting and lots of fun! Paddleboard Rentals are a fun and relaxing way to spend some time outdoors and is easy enough for all skill levels. Are you looking for one of the top Things To Do in Myrlte Beach South Carolina? Then look no further. Island Adventure Watersports is Ranked #1 on Trip Advisor for top Myrtle Beach Activities. We have a variety of fun for the whole family including jet ski rentals, boat rentals, jet ski backcountry tours, tubing, wakeboarding, kayaking, paddleboarding and more. 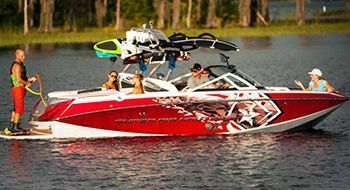 Be sure to stop by with your friends to have some fun on our new 2014 Super Air Natique and experience wakeboarding like you never have before. 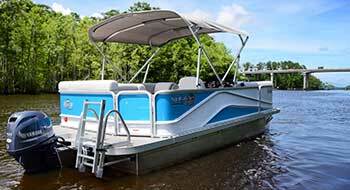 We are your one stop shop for all your watersport needs. Island Adventure Watersports is locally owned and operated company. 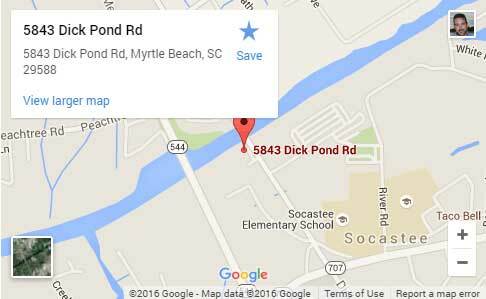 We are located at the historic Socastee swing bridge in the southern part of Myrtle Beach off HWY 17. Our venue offers scenic views of the fresh water Intercoastal Waterway and its surrounding rivers. From beginners to the advanced, we have something for the entire family. Our prices are guaranteed to always be the lowest in Myrtle Beach and we pride ourselves in offering the most friendly and knowledgable staff in the watersports business. In order to better serve you, reservations are strongly encouraged.